Does your carpet need cleaning after all the Spring Showers in Birmingham, AL? Are you seeing dirt spots on your carpet? 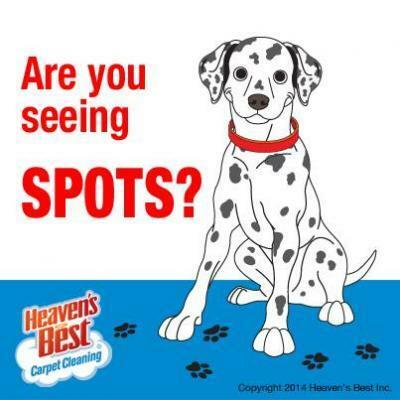 If so, Heaven’s Best Carpet & Upholstery Cleaning is here to help. This year there seem to be more spring showers than usual in Birmingham. Spring Showers are great for cleaning the pollen out of the air and helping our flowers grow, but they can do havoc to the carpets in our homes. It is even worse if you have pets or kids. They seem to track in all that nasty red clay and mud from the outdoors. Even if you have door mats and throw rugs to wipe feet off, the carpets still seem to get muddy and dirty. Here at Heaven’s Best, we have some excellent cleaning solutions that will easily remove red clay and dirt from your carpet. We also have excellent Spring Carpet Cleaning Specials. When this rain finally stops, it is going to be time to start Spring Cleaning, and one of the easiest ways to clean and freshen up your home, is to have your carpets, floors, or upholstery cleaned. Heaven’s Best doesn’t only clean carpets. We also clean upholstery including Couches, Sofas, Love Seats, Chairs and even Mattresses. And, we also clean Hardwood and Laminate floors, as well as Tile and Grout. If you don’t have time to Spring Clean, call Heaven’s Best. We can clean and freshen all the floors in your home and make your home look and smell great. And another great benefit to using Heaven’s Best is that we use a low-moisture process to clean your carpets. This means your carpets won’t take days or even hours to dry, they will be dry in about 1 hour. This helps to keep them from re-soiling as quickly as other carpet cleaning processes. When the carpets take days to dry, it means that they will attract new dirt and they will attract it quickly. The wetter the carpet, the more dirt it will attract. If you are tired of the Spring Showers and ready to do some Spring Cleaning, call Heaven’s Best today at (205) 618-9150. We have some Great Carpet Cleaning Specials to help clean up after all the Spring Showers in Birmingham, AL.